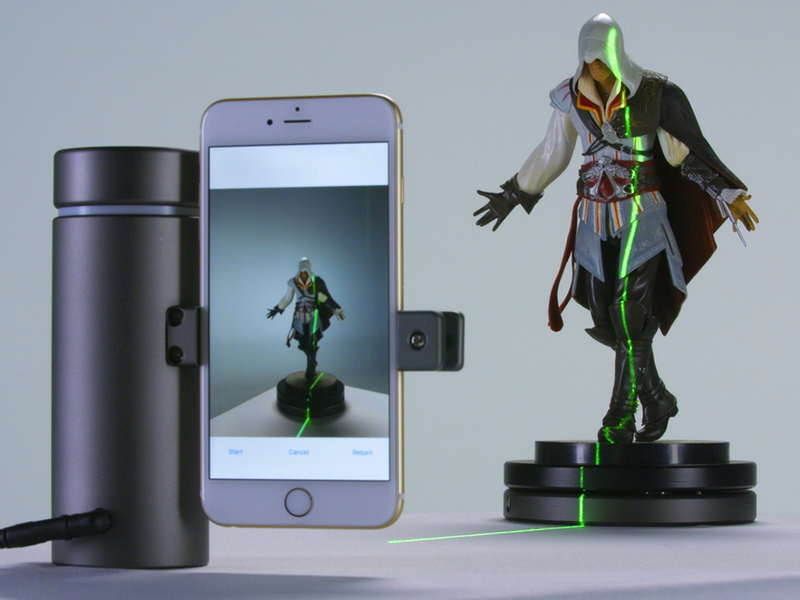 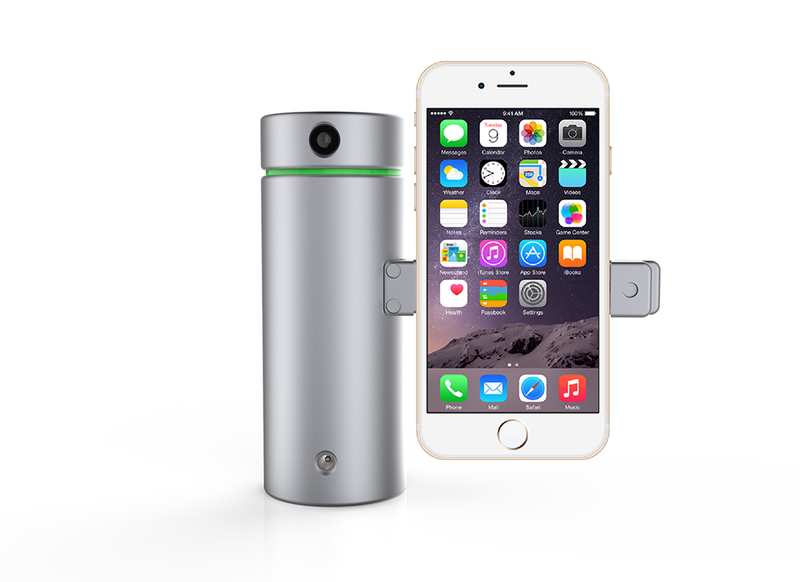 Eora will turn your smartphone into a 3D scanner. 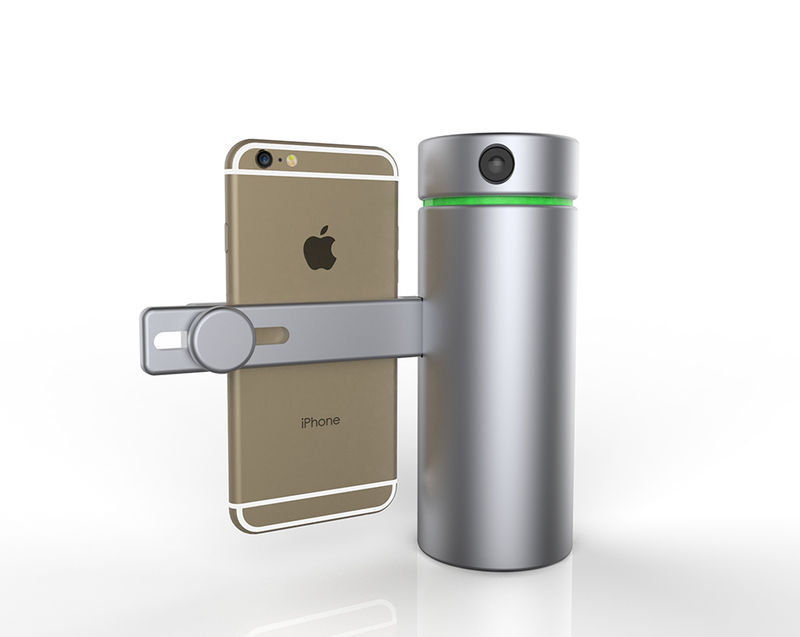 Its green laser and iOS and Android apps make high resolution scanning quick, easy and affordable. 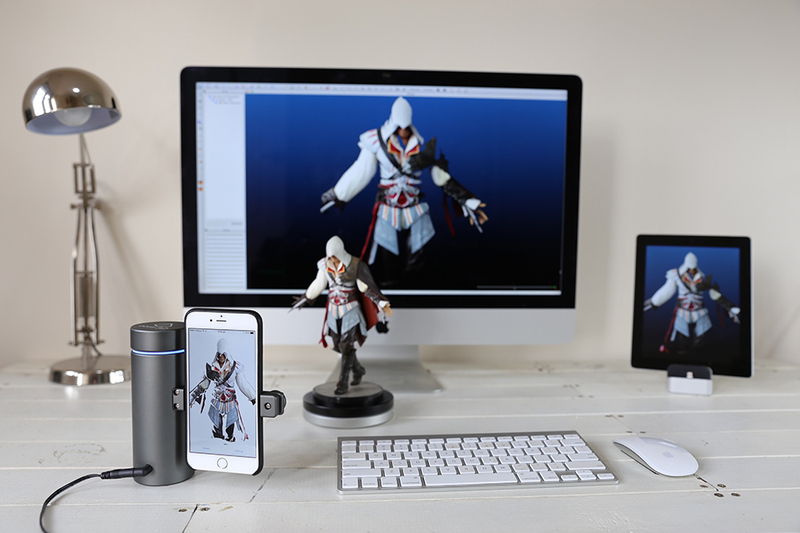 It saves models as .ply, .obj, and .stl files and has an optional Bluetooth turntable accessory.